If you are considering self funding insurance, then acquiring stop loss insurance should be high on your priority list. Stop loss insurance, also known as excess insurance, is a product that provides companies protection against unpredictable or catastrophic losses. Unlike conventional employee benefit insurance, stop loss insurance insures only the employer. As employee medical bills can quickly add up, being able to predictably cap expenses is critical. Stop loss insurance is not medical insurance, but rather a financial and risk management tool that can save you money and help protect against lawsuits resulting from the inability to pay. Learn more about stop loss insurance and why it could be useful for your business. There are two main forms of stop loss insurance: specific and aggregate. First, specific stop loss insurance provides employers with excess risk coverage to protect against high claims from any single individual. Also known as individual stop loss, this type of coverage is designed to protect against an abnormally high single claim rather than a high frequency of abnormally high claims. In comparison, aggregate stop loss insurance provides employers with a ceiling on the dollar amount of any eligible expenses that they would be responsible for paying during a contract period. Once the contract has ended, the carrier then reimburses the employer. While some employers choose one type or the other, many employers can benefit from having both types of stop loss. Self funding insurance is an effective way for employers to save money on rising healthcare costs. 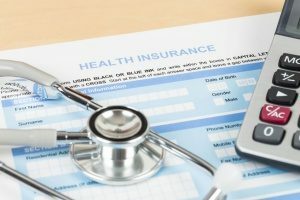 However, without a health insurance carrier to pay for unexpected medical bills, the employer is left completely responsible for all qualifying medical costs. While this is not typically a problem if all of your employees remain healthy, a sudden major illness could result in financial disaster. If an employer is not able to cover the significant cost of one or more medical bills, he or she may even be forced to go out of business. With stop loss insurance, an employer’s out-of-pocket costs towards employee medical bills are capped at an agreed amount. If medical bills happen to exceed this threshold at any point during the contracted time, any additional medical costs are covered by the stop loss insurance. 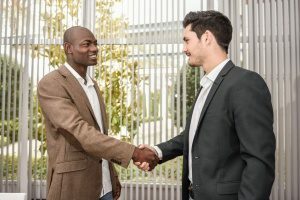 However, it is important to understand that this coverage is available in the form of a reimbursement, meaning employers are still responsible for making the initial payment. Depending on the policy, there may also be some limitations. Stop loss insurance is more common than you may think. In fact, over 85 percent of self funding employers with up to 5,000 employees have stop loss insurance. If you have self funding insurance, many industry experts consider stop loss coverage a must-have. Without a higher level of protection against considerably high or unexpected medical bills, you are putting your business at great risk. However, stop loss insurance may not be right for every company. It is important to weigh the cost with the risk, while taking your unique business structure into consideration. For example, a business with a young, healthy, and unmarried workforce will be less risky than a workforce of older individuals with family. As most businesses with self funding insurance are large to mid-size employers, these companies are most likely to invest in stop loss insurance. However, many smaller companies with as few as 10 employees are beginning to see the benefits of self funding. Even if you believe that your business is safe from these risks, stop loss insurance can provide you with the peace of mind that any unexpected medical bills are covered without causing you financial harm. Remember that a seemingly healthy workforce can quickly develop chronic illnesses or suffer other catastrophic events. Incurred and Paid (12/12): This type of contract only covers incurred and paid claims within the set policy period. It is generally used for the initial year only. Incurred and Paid with Run-Out (12/15): With this type of contract, only claims that were paid in the three months following the end of the plan year are covered. Incurred and Paid with 6 Months Run-In (18/12): This contract only covers claims that are paid during the new plan year and which incurred within the prior six months. Incurred and Paid with 12 Months Run-In (24/12): With this type of contract, any claims that were paid during the new plan year and which incurred during the prior 12 months are covered. Paid: A paid contract will cover all claims that are made during a set policy year. This is the most comprehensive type of renewal coverage for employers. You will also want to consider other terms and conditions when looking at stop loss policies. Benefits providers often differ in how they treat recurring claims under stop loss. You can expect deductible levels to fall between $10,000 and $15,000 on average per person per year. For on-going claims, it is not unusual for deductibles to increase in future years. Take the time to talk with your benefits provider to ensure that you are going to receive the right amount of coverage. Having the proper protection is crucial to keep your risks low while enabling continued coverage for your employees. Stop loss insurance is an invaluable tool that can provide businesses with a competitive edge and significantly reduce their risk and out-of-pocket expenses. If you are concerned about the rising costs of medical bills and how it could affect your company, stop loss insurance may be right for you. Contact an experienced benefits consultant today to learn more about stop loss insurance and how you can get it.